1 Bed 1 Bath 980 Sq. ft.
1997 Radco RTL Mobile home, one bedrooms, laundry area, Amherst school district, walking distance to Lake Erie. Cash sale property sold as-is. 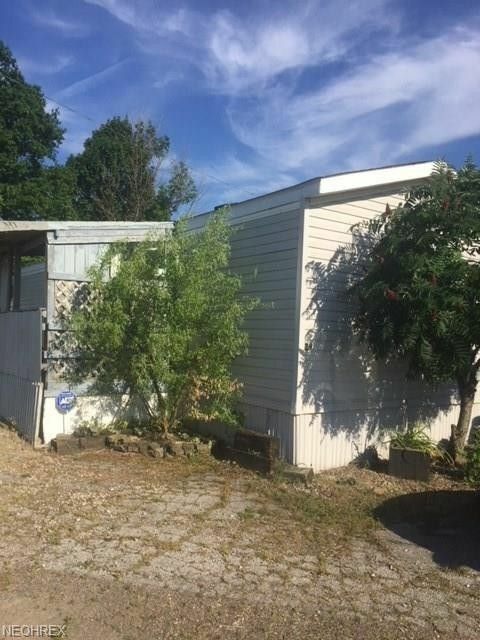 Comes with bed, couches, washer and dryer All applicants must be pre-approved by Erie West Management prior to purchasing the mobile home. Pets are allowed. Year Round Living Or Summer Home, Home Next To The Lake Erie, Area Available For Boat Storage Across From Copper Kettle Marina, Next To Beaver Park, Could be a fisherman's. The out side has two shed a perennials garden that need some TLC. 1 beds 1 Bath 980 Sq. ft.